I’ve been visiting the Bay of Islands in Northland, New Zealand. I found this beautiful view in a little village called Opua, down the road from where I was staying. 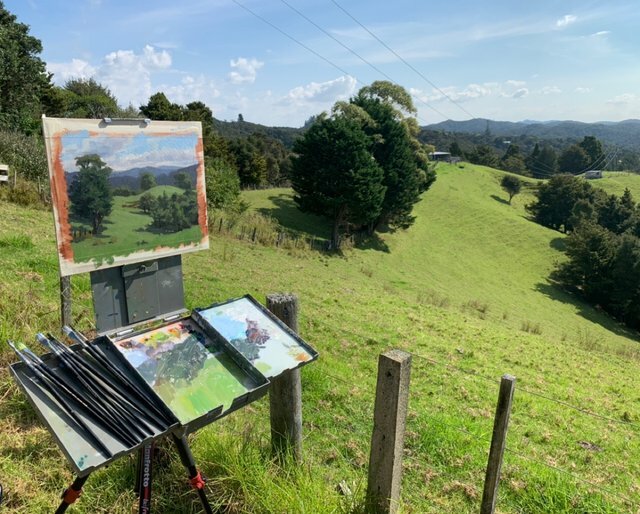 I set up my easel at the side of the road and painted the view outdoors ‘en plein air’ in oils. I love the native New Zealand trees up here, many of the forests contain beautiful native trees including totara, rimu, tanekaha, kauri, kanuka and many more. 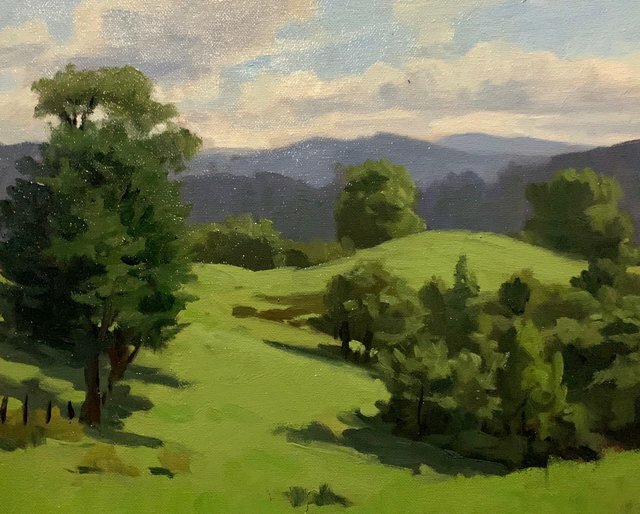 The greens from these trees are different to any other trees I have seen and they are a joy to paint. Painting outdoors is known as painting en plein air, a French term for painting outdoors. Opua, New Zealand, 10” x 12” (approx), oil on canvas, painted outdoors en plein air.